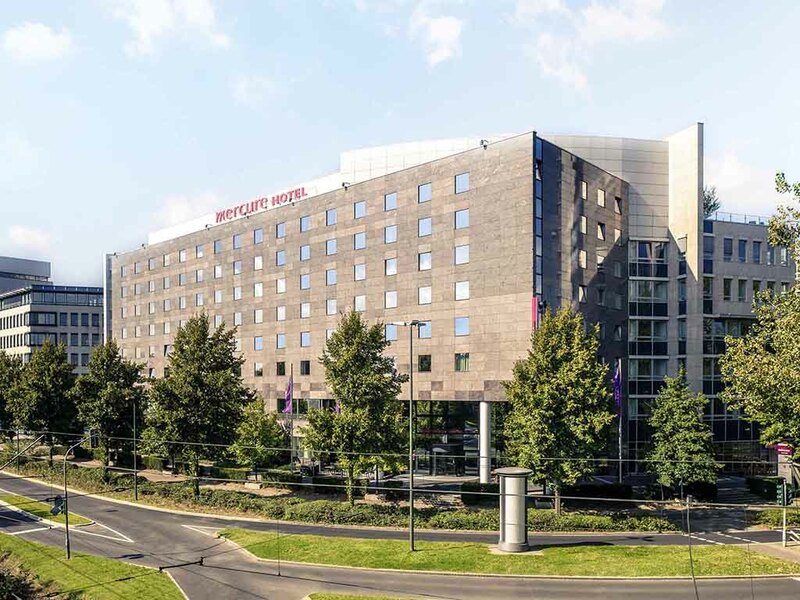 Good for business and guests wanting to relax in comfort: The 4-star Mercure Düsseldorf Seestern hotel with 160 rooms is situated in the convenient yet quiet borough of Lörick to the left of the River Rhine. Five flexible meeting facilities are available for your events. The Messe Düsseldorf trade fair center is easy to reach. The hotel is 4 miles (6.5 km) from the main train station and 5 miles (8 km) from the airport. Arrival by car: A52 and the A57. The hotel is only 328 yards (300 m) from the U-Bahn. Did you know that more than 5000 international companies are based in Dusseldorf? That the capital of North Rhine-Westphalia is also the capital of the advertising sector and boasts the only "Japantown" in Germany? There is so much to discover in D'dorf! At the 4-star Mercure Hotel Düsseldorf Seestern you can choose between Standard, Superior and Privilege Rooms with a double bed or twin beds. All 160 rooms in our hotel are air-conditioned and have WIFI. One child up to the age of 11 (inclusive) can sleep in your room free of charge. If you are staying with children, we offer adjoining rooms with a connecting door. Your pet is also welcome (charge of EUR 10/night). In our bar and restaurant 38, we will spoil you with culinary delights, serving regional and international specialties. End your day by relaxing with a glass from our Mercure wine list.